The Qolsys IQ Panel Rogers provides everything you need to create a robust and customizable command center for managing your security ecosystem. It supports up to 75 Z-Wave devices and 242 users. You are in control, with the ability to tailor the settings for all components to fit your protection and automation needs with the Rogers alarm communicator. The panel uses up to six wireless radios for fast and secure communication with all devices. 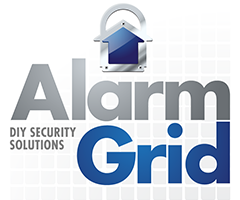 You can manage your security system directly from the panel, or remotely using the Alarm.com mobile app. With the addition of optional sensors, you can monitor every room and entrance in your home or business with real-time alerts of any unauthorized entry onto your property. The IQ Panel Rogers is more than a control center for your security system. You can pair Z-Wave devices to create automation rules, such as turning on lights during the evening, or when the doorbell is activated. You can connect other safety devices, such as CO or smoke detectors. The user-friendly interface makes it easy to manage your IQ Panel and its components. The IQ Panel differentiates itself from other devices through its customization options. The unit is easy to install, so you can secure your property quickly. It has an intuitive user interface for managing your system’s settings, as well as adding other devices and sensors. You can create unique IDs for all components, along with individual automation rules. With the accompanying mobile app, you can stay connected to your security system, and stay informed about important activity and all access attempts onto your property. You can receive instant alerts and notifications no matter where you are. The addition of Z-Wave devices extends the capabilities of your command center to ensure the safety of your home and family. The IQ Panel includes several security features within the unit itself that keeps your home protected. You can arm the panel camera to receive images of any unauthorized access to it. Because it uses cellular connectivity, it will continue to communicate with the Alarm.com servers, even if the power goes out. The IQ Panel has a seven-inch touchscreen with an easy-to-navigate menus. It uses up to six wireless radios, including WiFi, Image Sensor, Cellular, Z-Wave, Bluetooth, and Security R/F. It operates with dual path connectivity with the Rogers cellular network, and your home WiFi, for fast and reliable transmission. It features dedicated cellular communication to your system. You can also extend the capabilities of your command center with interactive services from Alarm.com, such as geo-fencing. You can receive notifications whenever a user enters your location. You can manage your system’s status remotely using the smart home security app. You can even get extreme weather alerts. The IQ Panel has a 24-hour battery backup to keep your system secure. The unit has a built-in speaker and microphone that allows you to speak directly to a monitoring service agent. Even if the power or your WiFi network goes down, the IQ Panel still communicates securely with the Alarm.com servers. It will alert the site, and send you an image if an intruder tampers with the panel. You’ll still get messages despite the state of the system. For the quickest setup, you should create an account on Alarm.com before you begin. The first step is to install the hardware and power supply to the unit. Once you’ve powered it up, the panel will prompt you to choose an available WiFi network, and enter your credentials. Then, you’ll need to run the cell test. That will sync your IQ Panel with the Alarm.com servers. If a software update is available, it will download and install automatically. Once it’s complete, you’re ready to add additional Z-Wave devices and security sensors to your security system. The process involves pairing each component, with the option to create custom names and automation rules for each one. You can add up to five thermostats, six door locks, 30 lights, and 18 smart sockets to the IQ Panel. You can also set up an additional 16 devices for functions, such as garage door openers and sirens. You can add other units at any time through the Settings menu. For optimal performance, follow the manufacturer’s recommendations for installation and placement of sensors to avoid triggering false alarms. You should also set delays for devices installed on frequently used entrances to give users extra time to disarm the unit. The home screen will provide the current time, date, and system status on the color-coded header. Green means that it is disarmed and ready. Orange indicates that it is armed and in Stay mode to use when you’re at home. A red bar means that the IQ Panel is armed in Away mode. There is also a manual emergency alert button on the screen to trigger an alarm. The Settings menu includes options for User Management. You can create up to 242 unique access codes with specific types, access levels, and expiration dates. With the mobile app, you can arm or disarm users on the fly. You can run system tests to monitor the integrity of your command center and its components. You can also play video tutorials to learn more about its operation. The IQ Panel features a customizable photo frame that you can manage from this menu as well. You can load pictures from a microSD card to play a screensaver using them. The panel also has a built-in camera which monitors access to the command center, and a glass break detector with Alarm.com’s exclusive Crash & Smash Protection to keep the system running in case of a breach. The Qolsys IQ Panel Rogers is an all-in-one solution for managing security at your home or business. It offers numerous customization options for sensors and detectors, as well as connected Z-Wave devices to automate appliances, lights, and other paired units on your property. It is an excellent choice for an effective and reliable DIY security system. Can I Pair a Qolsys IQ Remote to a Qolsys IQ Panel? Can I Update the Firmware On a Qolsys IQ Panel Alarm System? Can I Turn Off Arm-Confirm on a Qolsys IQ Panel Alarm System?